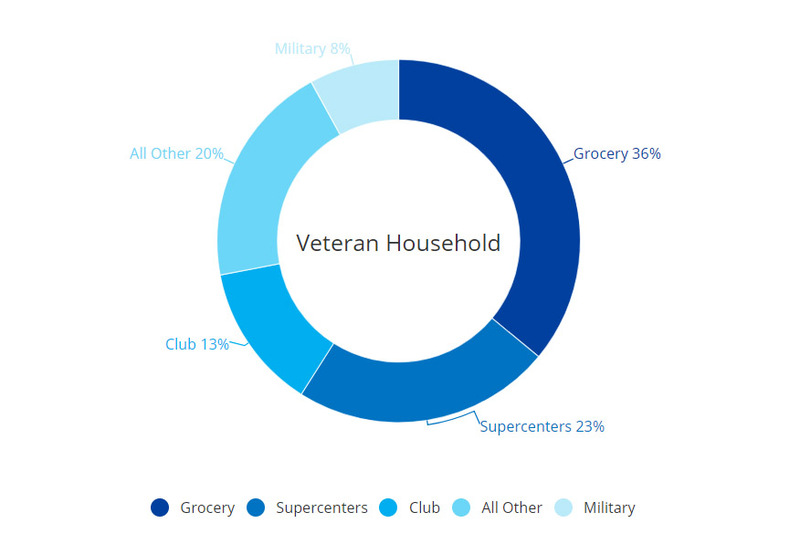 While veterans are no longer on active duty in the military, they’re active shoppers. In fact, veteran households spend 16% more overall than the average U.S. household. They also take 14% more shopping trips, with an average of 126 trips annually. While veterans are heavy spenders, they’re less likely to shop at grocery stores than other Americans. Grocery makes up just 36% of a veteran household’s share of wallet, compared with 44% for the average U.S. household. Not surprisingly, 8% of veterans’ overall dollars are being diverted to military stores. 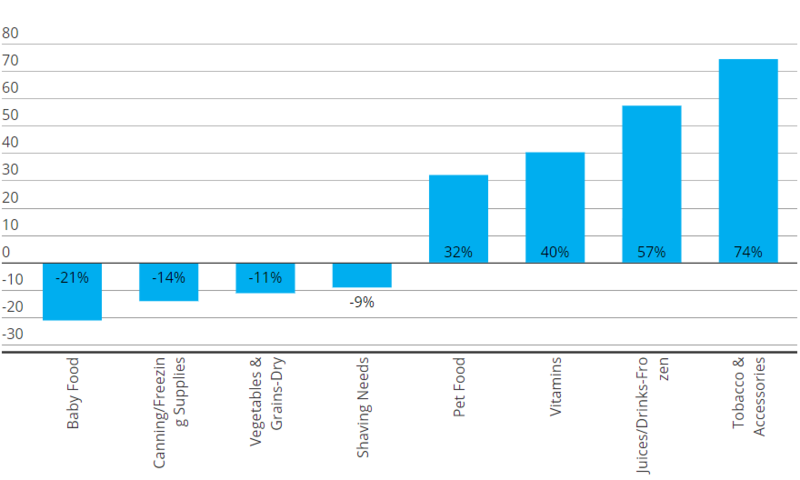 WHERE DO U.S. VETERANS SHOP? Nevertheless, grocery retailers have the opportunity to win back veterans and their families by understanding who these consumers are and what they’re shopping for. With just under 20 million veterans in the U.S., it’s important for retailers, as well as brands and advertisers, to understand the unique needs of today’s veterans to better reach these important consumers. WHO ARE TODAY’S U.S. VETERANS? In the U.S. today, the veteran community is diverse. According to the National Center for Veteran Analysis and Statistics, 19% of veterans are multicultural and 10% are women. With more women serving in the military, the number of women veterans should continue to grow and is expected to be almost 13% of the entire veteran population by 2027. As of 2016, veterans who served during the Gulf War period made up the largest portion of the population. For marketers seeking to reach veteran shoppers, understanding the different segments of the overall population is important. Despite their differences, veterans are more likely than the average American to engage in certain activities than their peers. According to Nielsen Scarborough research, 15% of veterans spend their free time fishing, making them 45% more likely to participate in the activity than the average American. 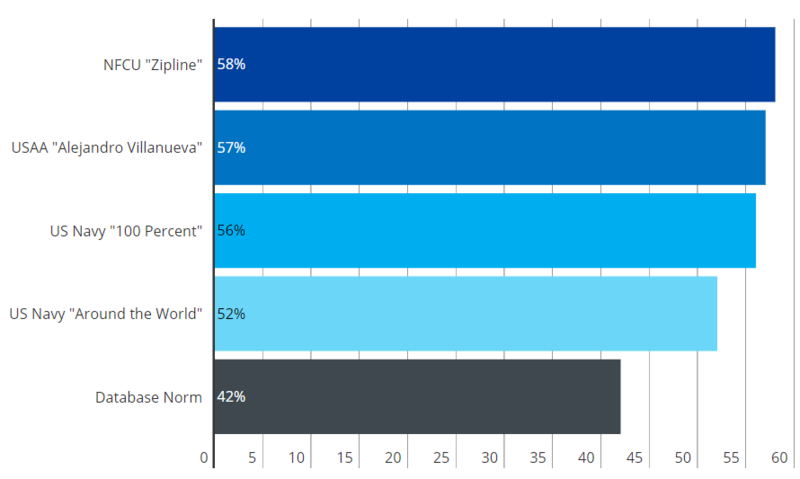 With pride for the country they served, it’s not surprising that 83% always vote in presidential elections and 63% always vote in statewide elections, making them 18% and 35% more likely to do so than average. And while just 0.1% of veterans participate in Ironman Triathlons, they’re 100% more likely to participate in these trials of grit and endurance than the average U.S. adult. When it comes to purchasing, veterans also differ from the general population. Veteran households spend more than the average U.S. household on vitamins and pet food, while spending less on baby food and shaving supplies. The good news for marketers interested in reaching this active and civic-minded group is that they’re heavy media users. U.S. veterans are 38% more likely to watch TV and 25% more likely to read a newspaper than the average U.S. adult. And military-themed advertising has shown the ability to break through. Research from Nielsen TV Brand Effect has identified 2017 ads from Navy Federal Credit Union, USAA and the U.S. Navy as highly memorable. Note: Ad memorability is the percentage of an ad’s natural in-home viewers who are able to remember its context the next day.